Complete Algenist Eye Renewal - Does Algenist Really Work? Algenist Complete Eye Renewal Cream – How Does It Work? Home » Fashion » Eye Creams » Algenist Complete Eye Renewal Cream – How Does It Work? Algenist Eye Renewal is one of the more well-known products in the Algenist skincare line. Eye Renewal is designed to address skin problems for the skin around the eye, which has different skincare needs than other parts of the face. Algenist is a skincare company developed after an accident: the company was originally trying to create biofuel from algae. The scientists’ discovery led them to develop a formula for an anti-aging cream. Algenist was one of the first companies to use algal extracts in skincare, so it’s interesting to see what each ingredient does in Algenist Eye Renewal. Alguroic Acid is a patented acid derived from microalgae. According to the Algenist website, alguronic acid regenerates skin cells by 55% over untreated cells. It also increases elastin synthesis by 32% and protects against UV rays by 54%. A scientific study shows algae extracts have antioxidant and anticancer properties. Another study showed the peptides from microalgae have a cytotoxic effect on cancerous cells. The study said the peptides show promise for cancer prevention and treatment. Vitamin C decreases the effects of photodamage. A scientific study shows vitamin C improves hydration and increases collagen production after 12 weeks. Caffeine is remarkable for its ability to penetrate the skin barrier. It prevents accumulation of fat cells in the skin, is a potent antioxidant, and protects against UV radiation. It also increases blood microcirculation. Cucumber Extract is a moisturizer. A clinical study showed patients who used cucumber cream experienced increased skin moisture, fewer acne breakouts and whitened skin. Aloe Extract is a good anti-microbial an anti-fungal solution. It is tested to be effective against skin irritants. Aloe also soothes skin. Green Tea Extract contains EGCG (epigallocatechin-3-gallate), a catechin that naturally treats acne’s effects. ECGC reduces inflammation and decreases skin sebum, leaving skin smoother and less irritated. How To Use Algenist Eye Renewal? The manufacturer recommends using Algenist twice a day. Most users apply the cream in the morning and at night after their cleansing routines. Algenist Eye Renewal is only recommended for use around the eye area. 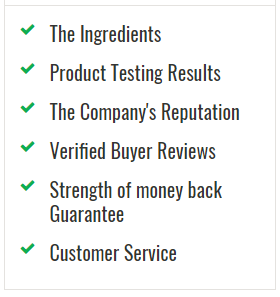 Customers consistently give Algenist Eye Renewal positive reviews. On Sephora.com, the product received an average 4.3 out of 5 stars. On BirchBox.com, the rating is 4.2 out of 5 stars. Here are a few examples of what customers think about Algenist Eye Renewal. Algenist Eye Cream is sold on the official website for $65 with free shipping. Each jar contains .5 fluid oz. or 15 ml. It is sold for the same price on third-party beauty sites such as Sephora.com and BirchBox.com for the same price. Algenist is also available for about $70 with free shipping on Amazon.com. 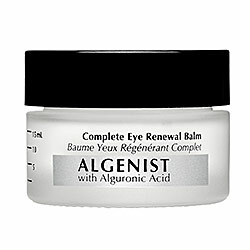 Algenist Eye Renewal is a quality, albeit pricey, eye cream. The ingredients are mostly natural and clinically proven. The reviews are nearly universally positive. While it might not be the best solution for people with normal skin who are budget-conscious, for those with real skin problems, it could be the answer.